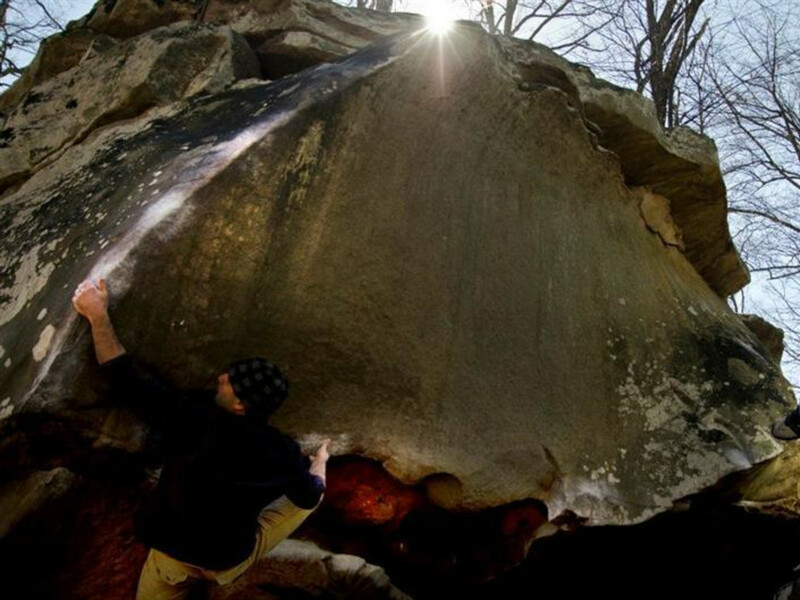 This fall and winter the Triple Crown Bouldering Series will sweep through the southeast for its 12th consecutive year. 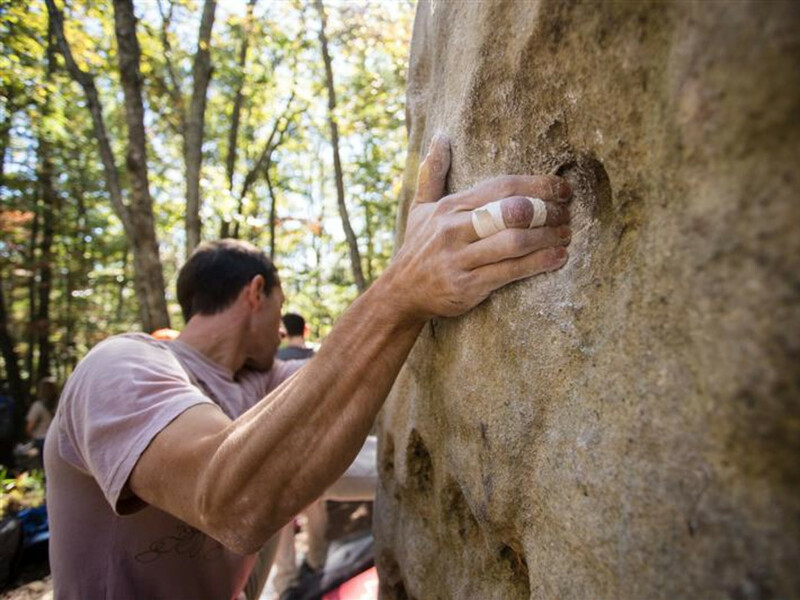 The competitions take place in some of the southeast's top-notch bouldering areas and new for this year is the addition of a fourth location. The series kicks off at Hound Ears, NC, then Stone Fort, TN, Horse Pens 40, AL and the last stop is at the newly added location Rumbling Bald in North Carolina. Climbers are not required to compete in all four events but will have a chance to win additional prizes and sponsorships if they do. 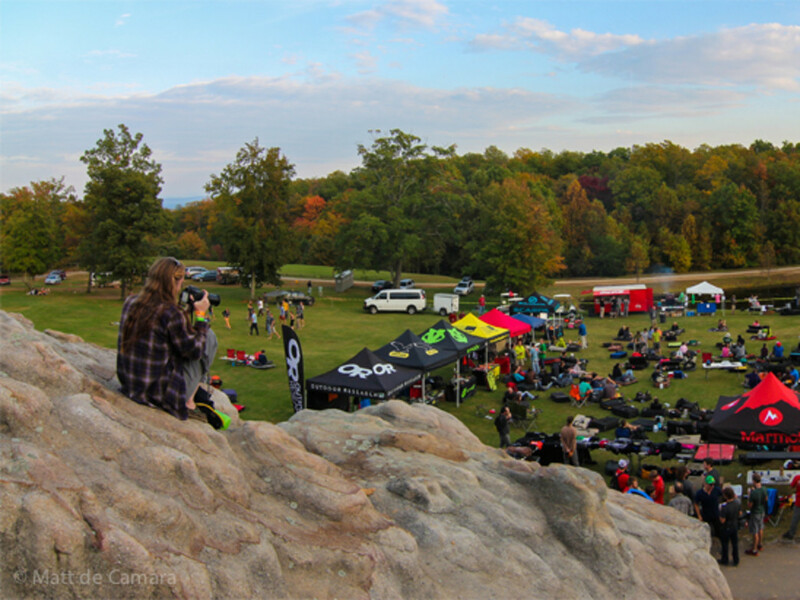 The series' second leg at Stone Fort, just outside of Chattanooga, TN has been a part of the Triple Crown since the beginning, and special to this event is the access to the boulders on the golf course which are otherwise closed to bouldering. This means 50+ additional problems to the competition. Climbers are required to gather early on competition day at the Montlake Golf Club for the Stone Fort competition, where breakfast will be generously provided by Five Ten . Throughout the day outdoor vendors will have shoe demos, there will be food and drinks for purchase, live music entertainment, raffles and possibly a few familiar names like Rands, Young and Webb. Each event will benefit organizations like the Southeastern Climbers' Coalition and the Carolina Climbers' Coalition that work with landowners to ensure access and promote responsible use of these areas. Triple Crown co-organizer and Chattanooga local Chad Wykle, who was instrumental in ensuring access to Stone Fort, explains how important these organizations are in providing a platform for communicating to the climbing community. "If there's an access issue, an opportunity to buy a crag, or if there's a crag threatened to be closed, we have a big voice...." The event also gives outdoor companies a chance to promote the sport of bouldering, and participants can demo and ask questions directly to the outfitters. By attending the Triple Crown, as a climber or spectator, everyone directly contributes to the sport that many are so passionate about. Spectators are also welcome and encouraged to come to the event and along with the competitors can enjoy all that the Triple Crown has to offer. Wykle encourages a large crowd at Stone Fort and not just made up of climbers, "Come prepared to have a good time and if you don't know what rock climbing is, this is a great way to get introduced to it." Wykle ensures a good mix of climbers just looking to have fun as well as competitive climbers putting on a good show. Aside from the Triple Crown, climbers and spectators can also expect many other climbing related events happening in and around Chattanooga in the days leading up to the competition. To mention few, this year's Reel Rock Tour is showing at the IMAX theater downtown, Paige Claassen is coming through High Point Climbing & Fitness with her 'Lead Now' Global Tour and there's also a speed climbing competition that will be happening at High Point. Whatever you chose to do, you are sure to be left with good memories, friends and sends.